Jester's Mask comes into play tapped. 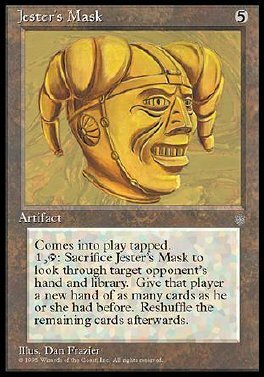 1, T, Sacrifice Jester's Mask: Target opponent puts his or her hand on top of his or her library. Search that library for as many cards as he or she put on top of it this way. That player puts those cards into his or her hand, then shuffles his or her library.